I have been looking for a way to use the photo booth idea in any of my parties. It really hasn't worked out yet, that I can do it. But this chef party will work perfect if I can get my wacky friends to participate! I'm pretty stoked about it. But, I'm a cheapy and hate to spend money on something I could do myself if I could find the right clip art...so I haven't purchased any of the cute photo booth props around the web. Instead, I've been looking for props that I can use in the booth that are cheap or free. 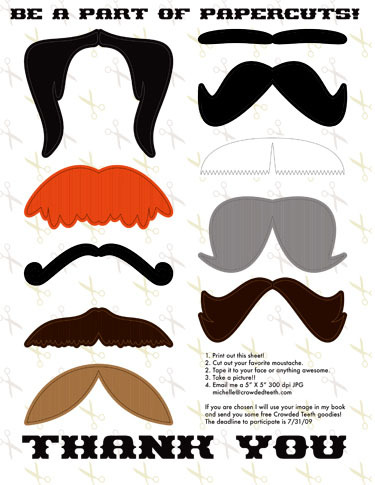 In case you are the same way, I found this download printable for mustaches at Crowded Teeth. 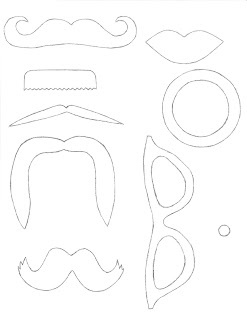 Ruffled has some templates for photo booth props. 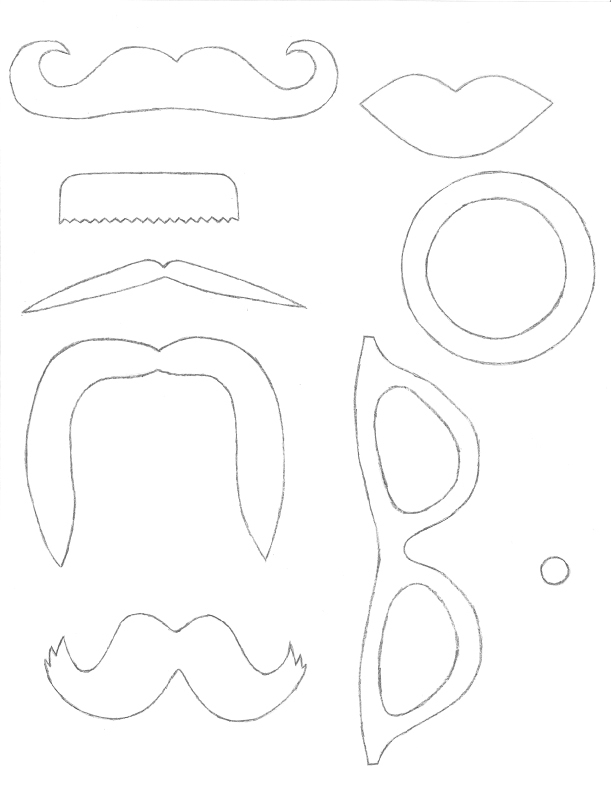 You can use them to make your own. Catch My Party has several fun printables for you to download and print. 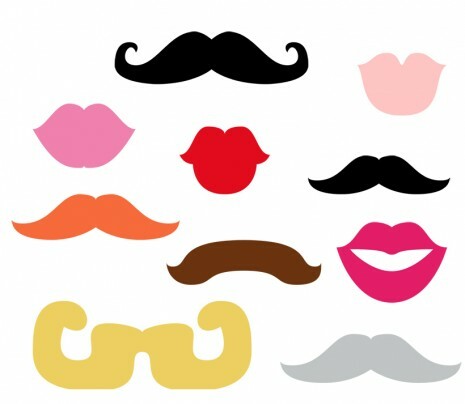 Check out how to make your own Photobooth Backdrop HERE.